IBackup lets you restore database backup file to a different database and perform point-in-time database recovery. 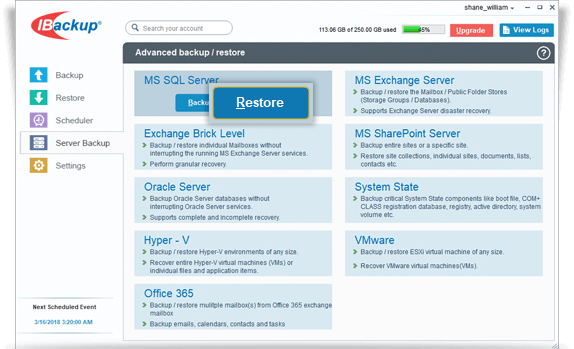 Login to the IBackup application and click the 'Restore' tab. 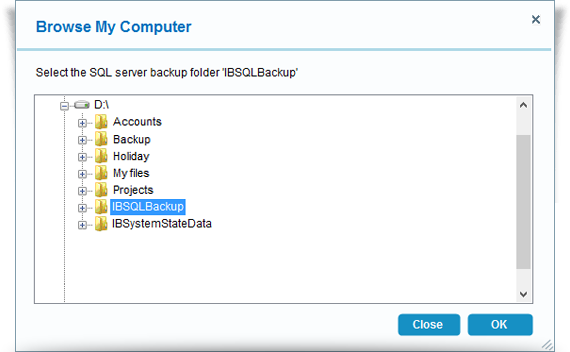 Locate and select the database backup file (IBSQLBackup) in your IBackup account. Click the 'Restore Now' button, to restore the database backup file (IBSQLBackup) to the local computer. 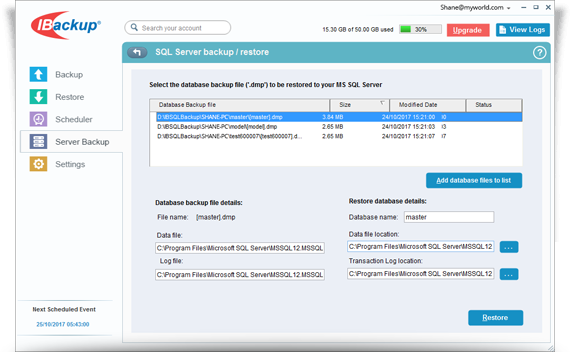 Once the IBSQLBackup file has been successfully restored, click the 'Server Backup' tab. Browse and select the database backup file (IBSQLBackup) from your local computer (the location where the database backup file (IBSQLBackup) was restored earlier from your IBackup account). Click the Restore button to restore selected database backup file (*.dmp) to your MS SQL Server.